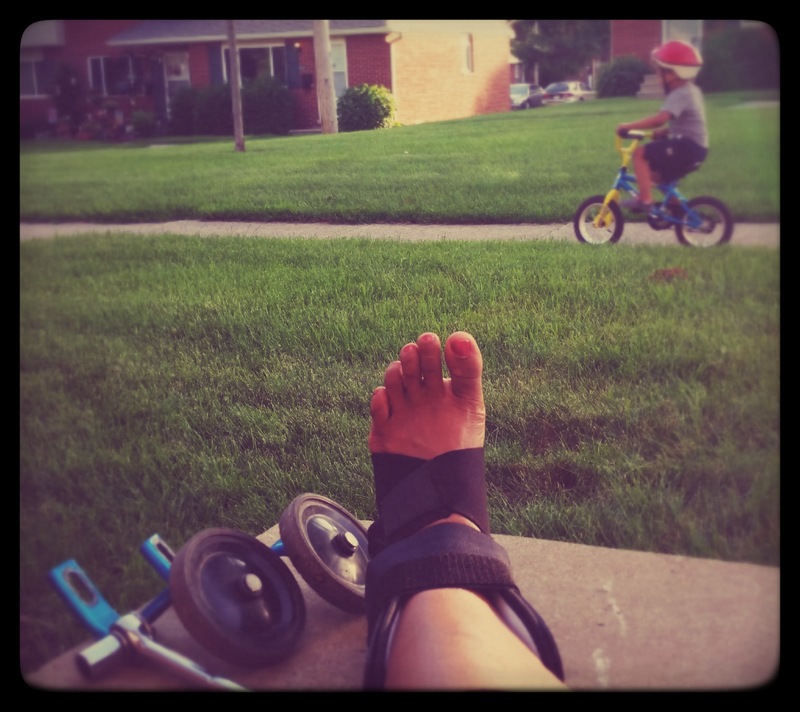 Last Monday afternoon, I sprained my ankle. So, instead of teaching, I spent a couple of hours mellowing out in the ER. For my trouble, I returned home to witness this milestone: my 4-year-old son riding his bike without training wheels for the first time (and after only one previous practice with me)! A little magic for the madness…and a lesson in mindfulness. Not only in movement, but also in knowing when to rest. I heard the Universe loud and clear! With a deep bow to my cosmic enforcer Mercury Retrograde, I diligently took care of my injury and enjoyed several days practicing the Buddhist art of having nothing to do, nowhere to go. In year of espousing to friends and practitioners the wisdom of self-care and self-compassion and leading mindfulness practices in cultivating refuge and relief, I am taking a huge dose of my own medicine! I’ll be taking an extended break from teaching my evening classes for July and August to fully live the lessons I teach about mellowing out. I look forward to introducing you to my friend, mentor, and teacher Sybil Shelton-Ford of As You Are Yoga who will teach on my behalf, July 7 – August 11. My friend Belinda Thurston, owner of Just B Yoga, will cover the rest. Join me, wherever you may be, to take refuge + unravel + rest in sweet relief!